Classic Series Monotempered 1060 Carbon Steel "Dotanuki Torso Cutter" blade with reinforced, professional grade fittings. The tsuka/handle assembly itself is exceptionally tight and well put together, double pegged with silk ito wrapped over REAL rayskin, wrapped in the traditional alternating style to ensure it does not loosen or unravel with use and tightly bound to a quality wooden core. Furthermore, the handle is also properly ergonomically ‘shaped’ to follow the curve of the blade AND fit comfortably into the hand, creating a safe and firm grip - another rarity at this price point. 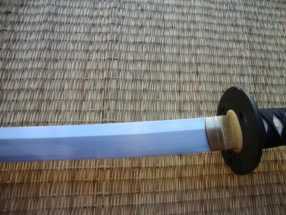 These swords feature high end brass seppa (spacers) and habaki (blade collar), and the saya is strengthened with REAL Buffalo horn end caps (Kurikata, Koguchi and Kojiri). 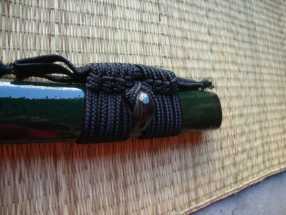 The black lacquered saya (sheath) itself is made from high quality wood and can be tied to your obi (belt) by hard wearing, dark brown synthetic sageo cord. The strength of the fittings ALONE are head and shoulders above any other sword maker anywhere near this price point, and its not just for show. 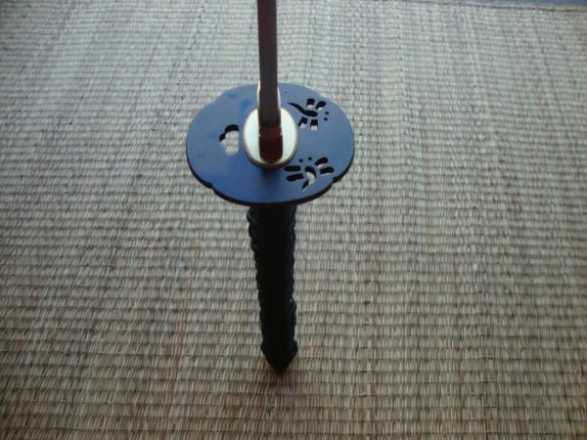 While everything looks great, the reason for the use of high grade materials in the handle is because - like everything in life - a Katana is only as strong as its weakest point - and the end result is a sword with minimal if any weak points. 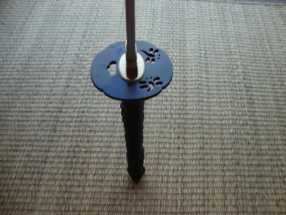 STRONG BLADE PLUS STRONG FITTINGS EQUALS STRONG SWORD! And the blades of the Dojo Pro - a feared style of blade geometry known as "Dotanuki" - fit the profile, are some of the toughest, most brutal cutting blades ever to hit the market.. These 1060, through tempered, no nonsense monosteel blades are exceptionally HONEST and RELIABLE. 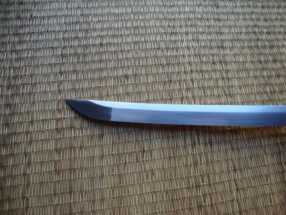 They are quite simply just extremely practical, utilitarian blades made according to the Dotanuki forging tradition – a school of sword making that made simple ‘maru’ lamination blades with a reputation for being plain, practical and to the point (speaking of which, the kissaki tip of the blade is reinforced with a diamond shape for added durability and cleanly counter polished (nicer than most other hand polished kissaki at this price point). 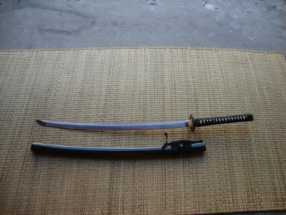 Received this sword fast. Packaging good. Sword very sturdy nothing loose. Blade sharp. 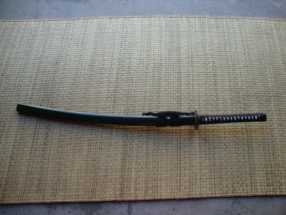 Im new to the sword forums so I wont pretend to know what Im talking about, but if this world goes apocalyptic , Ill feel confident with this sword at my side.